Are you tired of jumping from one used car to the next and think it’s time to put a new ride in the driveway? 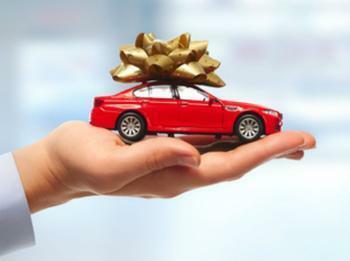 If so, then watch out – depending on where you live, there’s a good chance that new car may break your bank account. In a new study, Bankrate.com found that the typical American household in many of the U.S.’ larger cities doesn’t earn enough to afford the average new car. Trying to force the issue may stretch your budget too far and leave you in a tough financial spot. For the purposes of the study, the researchers followed what’s known as the “20/4/10” rule to see if consumers across the country could afford a new car. The rule states that a potential buyer should be able to afford a 20% down payment, a four-year loan, and make payments comprising 10% of their household’s income. If someone can’t make those kinds of payments, then the researchers say they can’t truly afford the vehicle. Using an average vehicle cost of $33,300, they found that only one of the 25 biggest metropolitan areas in the U.S. – Washington D.C. -- had an average household income high enough to stick to the 20/4/10 rule. However, Bell points out that these income numbers apply to the entire household. “So if you’re making payments on two cars, you’re looking at a couple of $350 monthly bills, not a pair of brand-new luxury cars,” he said. The entire list of cities and incomes can be seen here. Experts say that the rising price of vehicles makes it hard for the typical household to afford a car at even $20,000; 11 of the largest metropolitan areas have average household incomes that fall below this mark. “In the past 35 years, the cost of a new car has gone up 35 percent, a used car is up 25 percent, and at the same time, the median household income is only up 3 percent,” said Michelle Krebs, a senior analyst for Autotrader. The researchers say that consumers should pay special attention to the length of the loan terms when buying a new or used vehicle. Car loans are increasingly being written to last for five years or longer, so a seemingly low monthly payment may not be as good as it first appears.